HATTIE GOLD - HEY JULES! 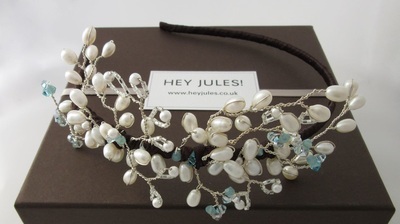 The Hattie design is a decadant piece with a central cluster of Swarovski cream teardrop pearls all individually braided with seed beads. 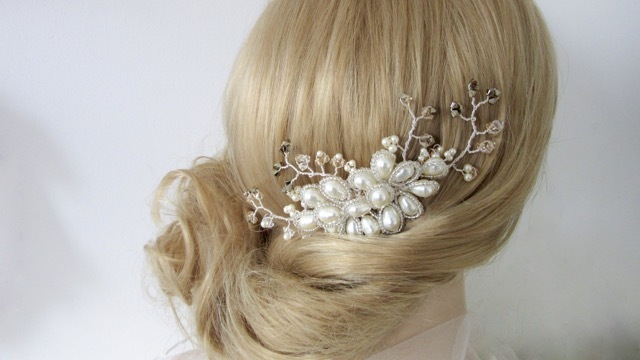 There are branches leading off with little budlets of crystals and pearls in cream metalic gold and golden shadow along with clear crystals which glimmer and shine as you move. 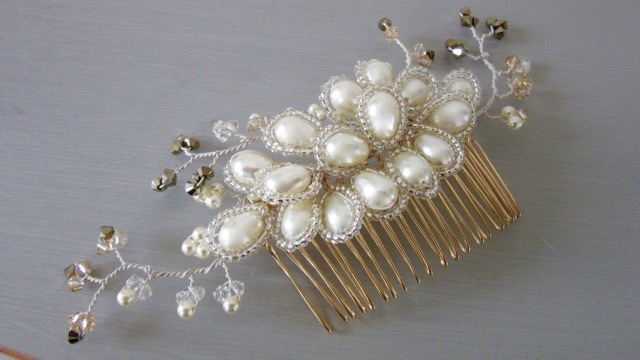 The comb looks fabulous worn at the side or the back of the head, vertically or horizontal. 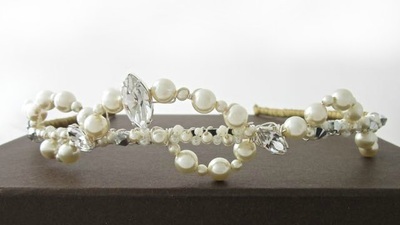 MADE TO ORDER – This piece is custom made to order. Choose a comb or band and ribbon wrap. 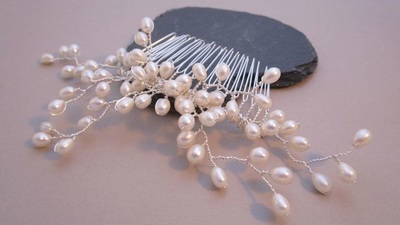 Also available in silver, or as a smaller design on a hairpin or as a headband/side tiara.